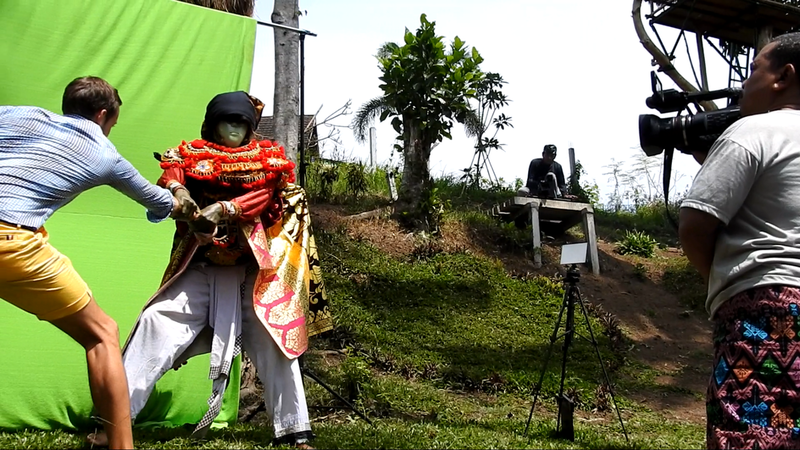 "Your Brand Development Film Studio in BALI"
Brand videos camp in Baliwood Land, why not . Are you international brand of products or services? digital era media not just TV Commercial only. 1. Join Baliwood Land Camp produce with us. In the beautiful film village and Bali island. 2. Choose our global Talents casting database . 4. Choose our Baliwood style scoring database. Or can be yours. and Co working Lab . 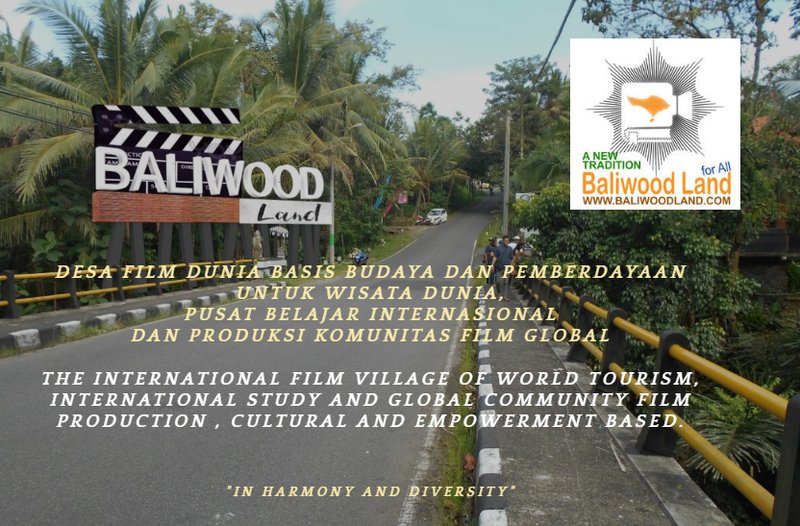 Baliwood Land is the multi zones village of Global Indie Film Production, Film Tourism and Global Education in Cultural Film Assets. 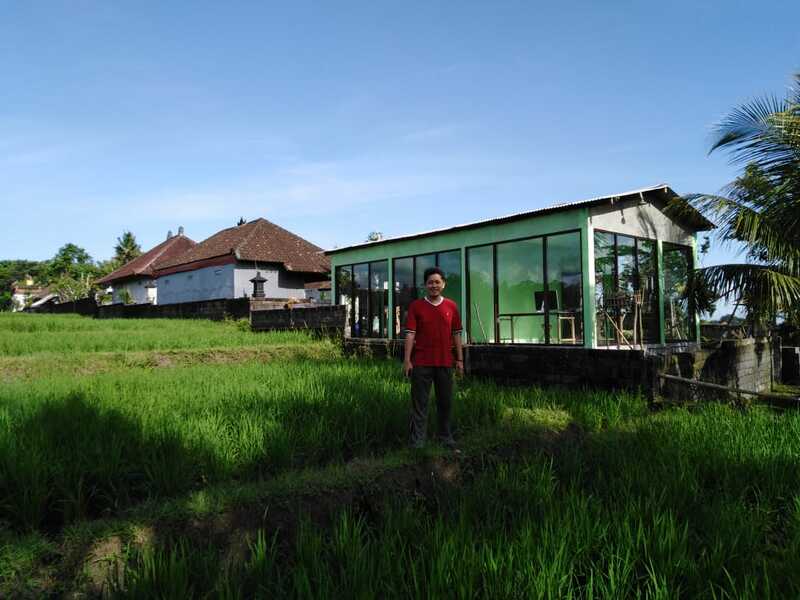 Our location in Bali (Indonesia), Badung region, Abiansemal Dauh Yeh Cani Village. Since Mid 2018 the infrastructure project initiative has begun and open symbolic with local authorities. And since a year before doing also some international collaboration with global media platforms and ​international partners in development. ​Product Placement Insertion and high efficient production cost ". "Strong story with hero touch and entertain your customers".
" IT CAN BE ALSO ONE PROJECT TWO RESULTS 1) & 2) AS ABOVE AT THE SAME TIME WITH THE SAME TALENTS"
"Free to Air Satellite, Local Cable TV Relay and Mobile Apps" ." We provide production ecosystem together with local authorities and villagers empowerment as a film production team in the first world film village. We have a lot of beautiful talents from many different countries in Baliwood Land from international students , indie actors/actress until pretty mix race face but local citizen. 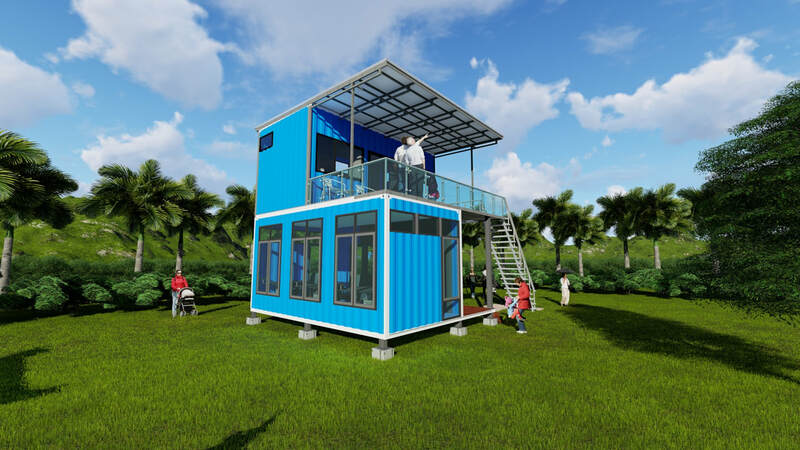 Your temporary project office to feel the difference , a new tradition and new experiences. 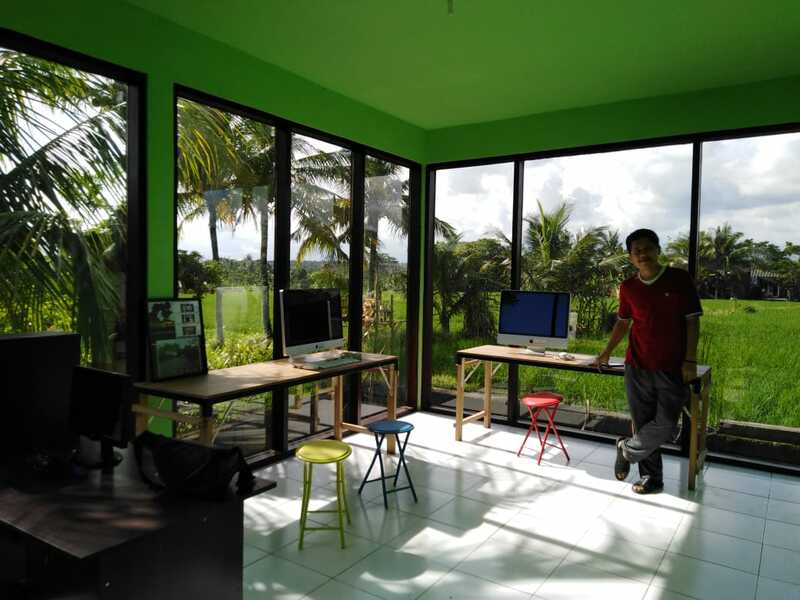 Pra production and Post production on Baliwood Land Co Film Lab Area / Content Industry Zone, International Film Village Cultural based , in Bali. 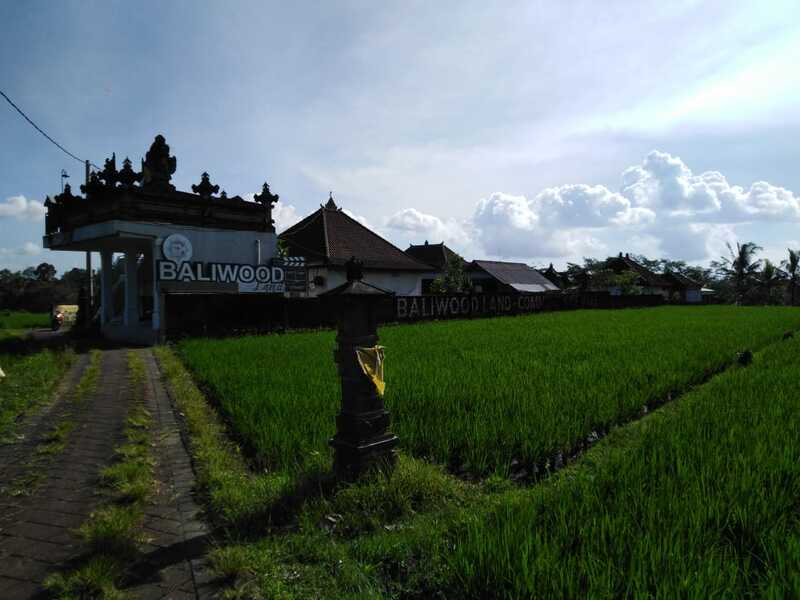 ​And Production entire Bali including the beautiful places in Baliwood Land area. We have many experiences in film production, empowering global talent community and international cross cultural collaboration in Bali, different way creating a new audience attraction. ​Some our titles is introduced to the global market in the world content marketplace expo, especially in film tourism areas such as Singapore , Cannes, Dubai and Moscow. And we are also have multi platforms development worldwide. 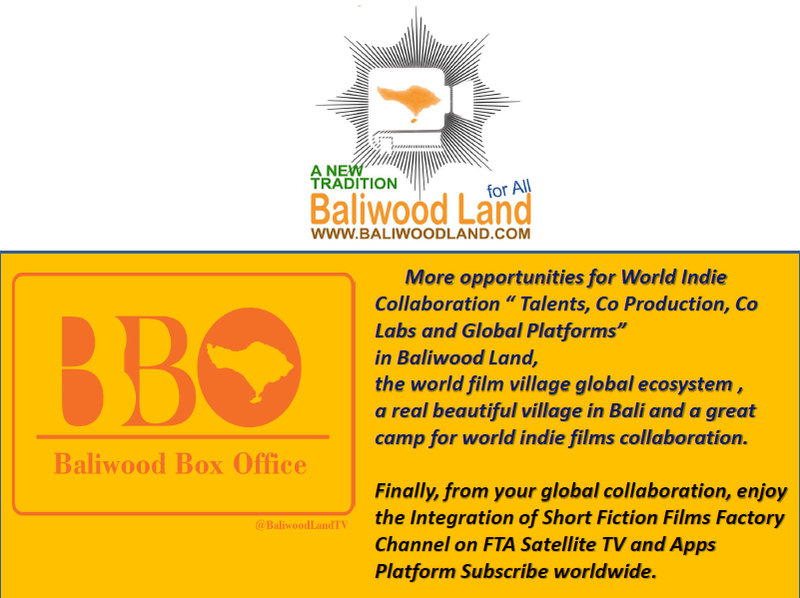 Our international taste indie fiction series, BBO (Baliwood Box Office) titles empowering global talents and can attract customer loyalty by film influences". 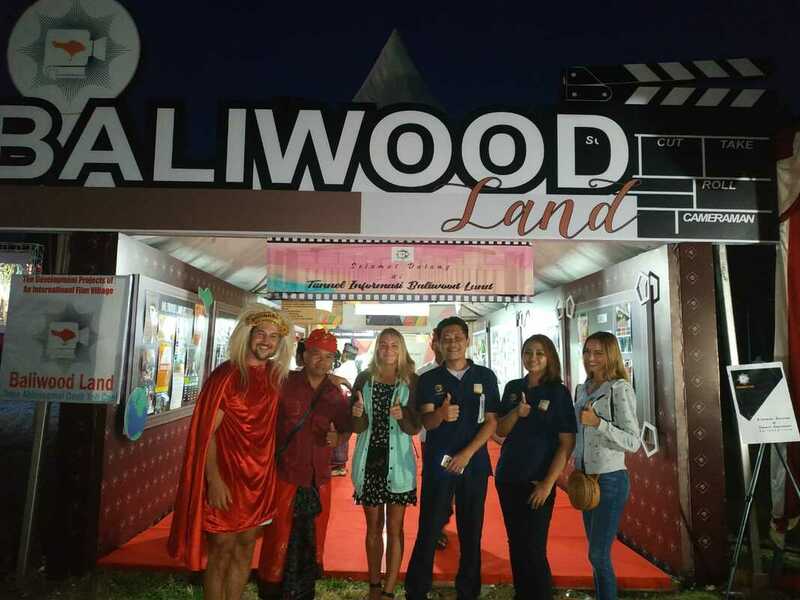 ​Therefore we deliver great BBO (Baliwood Box Office) from Baliwood Land , International Film Village - cultural based . Multi genres combination and all stage stories inside in our short fiction series, involving beautiful global community talents, and great panorama. Mobile or online media is community platforms "
ENTERTAIN YOUR CUSTOMERS IN THE DIGITAL MEDIA GLOBAL ERA. ​BBO IS FIT TO BROADBAND MEDIA WATCHING ESPECIALLY BY MOBILE. IF TO COMPARE "HBO" THAT MORE DURATION, AND "BOLLYWOOD IS MORE DURATION THAN HOLLYWOOD"
LIFE IS BUSY NOW, BBO IS GREAT TO WATCH DURING BUSY LIFE THROUGH THE DIGITAL MEDIA. IT MEANS YOU CAN GET TWO RESULTS AT THE SAME TIME. Existing 4G broadband global ecosystem, and Future 5G / even 6G is creating more kind of a digital media dedicated to community. The growing of community horizontal media in digital era give much impact and change the market penetration as well as the way of market strategy. Our Baliwood Box Office/BBO Community channel development and Co Films Lab in Baliwood Land (content industry zone), the first world multi zones film village (www.baliwoodland.com) can provide a new tradition and new experiences creating web film series channel collaborate global talents, entertain your customers with a new fresh packing the product placement insert and at the same time produce also your brand videos socmed Ads.